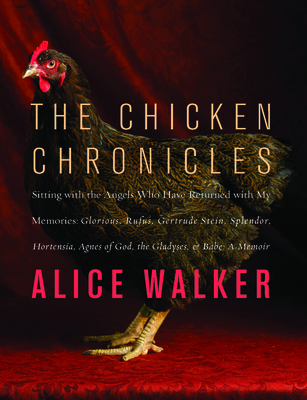 Here is a glorious, offbeat, compassionate, and "eccentrically inspirational" (Kirkus Reviews) memoir in which Alice Walker shares her experiences raising and caring for a flock of chickens. In pieces that are by turns moving, thoughtful, and utterly captivating, Walker addresses her "girls" directly, sometimes from the intimate proximity of her yard, other times at a great distance, during her travels to Bali and Dharamsala as an activist for peace and justice. On the way, she invites readers along on a surprising journey of inspiration, strength, and spiritual discovery. Uplifting, heartbreaking, and memorable, The Chicken Chronicles lets us see a new and deeply personal side of one of the most inspiring writers of our time. It is also a powerful touchstone for anyone seeking a deeper connection with the natural world. Alice Walker is one of the most prolific writers of our time, known for her literary fiction, including the Pulitzer Prize-winning The Color Purple, her many volumes of poetry, and her powerful nonfiction collections. Her advocacy for the dispossessed has spanned the globe.